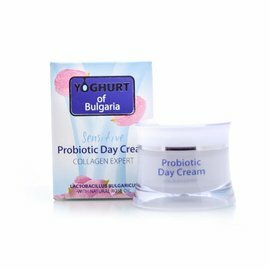 Yoghurt of Bulgaria Eye Contour Concentrate, probiotic anti-age eye concentrate from Yoghurt of Bulgaria for sensitive skin with Natural Bulgarian Rose Oil & Yogurt probiotic, free from parabens. 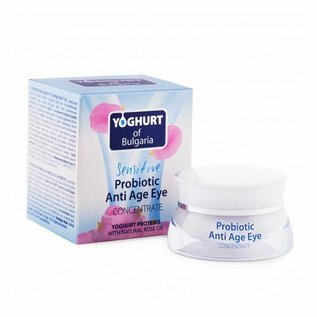 Probiotic anti-age eye concentrate from Yoghurt of Bulgaria for sensitive skin with Natural Bulgarian Rose Oil & Yogurt probiotic, free from parabens. Yoghurt of Bulgaria eye contour concentrate hydrates and refreshes the skin around the eyes thanks to active ingredients: rose oil and yoghurt extract. 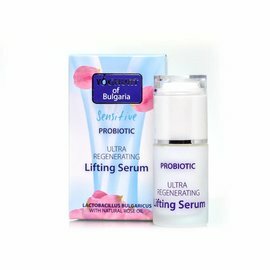 The Bulgarian probiotic is synthesized from live bacteria Lactobacillus Bulgaricus. The extract increases the formation of elastin and collagen in the eye contours and softens and protects the skin against aging. The natural rose oil nourishes intense and tonified. This natural eye contour concentrate is also suitable as a perfect magnetic base for long-lasting make-up. Suitable for the most sensitive skin. Amazing concentrated youth and beauty for your skin. 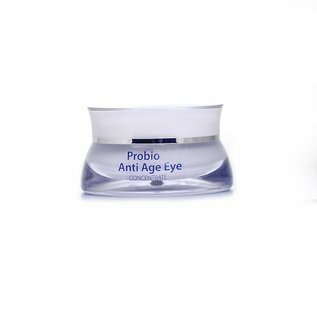 Very effective and ultra-light cream, which thanks to its exceptional ingredients - a probiotic yogurt and natural Bulgarian rose oil fights with the first signs of aging, without irritating the eye area. 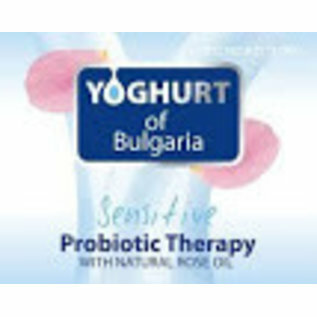 The Yogurt probiotic was synthesized from living bacterial cells of Lactobacillus Bulgaricus and isolated by advanced technological processes. 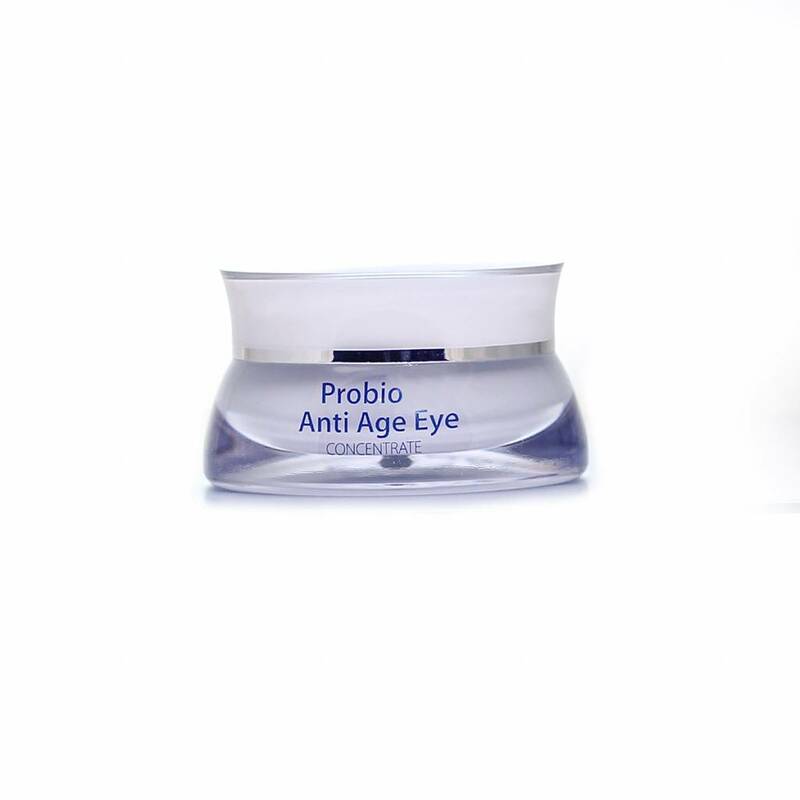 It stimulates the synthesis of collagen and elastin, which visibly reduces the lines around the eyes. The Bulgarian rose oil guarantees the intensely nourishing and firming effect. The cream retains the elasticity of the skin, preserves the hydrobalance in the eyes, soothes and softens. Apply in the area of ​​the eye contours on a well cleansed skin. Avoid direct contact with the eyes. 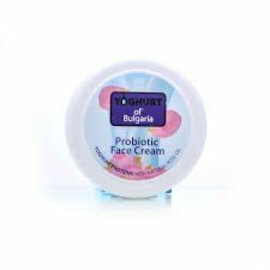 Use for the best result in combination with the other products from the Yoghurt of Bulgaria line. Aqua, Glycerin, Cyclopentasiloxane, Dicaprylyl CARBONATE wax, cetearyl ethylhexanoate, Cetearyl Alcohol, Glyceryl stearate, glyceryl stearate citrate, SIMMONDSIA CHINENSIS SEED OIL, Macadamia ternifolia seed oil, phenoxyethanol, caprylyl glycol, hydroxyacetophenone, STEARIC ACID, HYDROLYZED YOGURT PROTEIN, Lactobacillus bulgaricus FERMENT Filtrate , creatine, HYDROXYETHYL acrylate / SODIUM ACRYLOYLDIMETHYL Taurate COPOLYMER, Tocopheryl ACETATE, PERFUME, acrylates / C10-30 ALKYL acrylate Crosspolymer, triethanolamine, BHT, ROSA DAMASCENA FLOWER OIL, CITRONELLOL, ALPHAISOMETHYL ionone, geraniol, HYDROXYISOHEXYL 3-cyclohexene carboxaldehyde, hydroxycitronellal, Butylphenyl METHYLPROPIONAL, LINALOLE. YOGHURT OF BULGARIA PROBIOTIC EYE CONCENTRATE AT NATURAL BIO STORE!